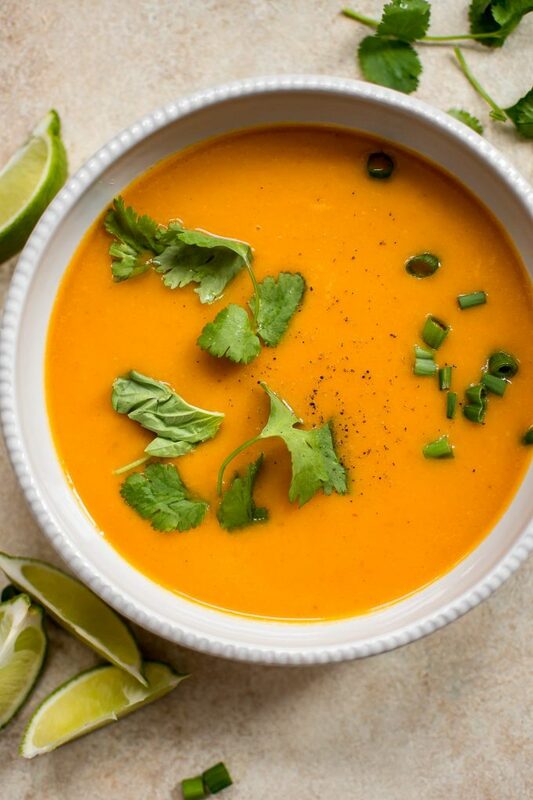 This vegan Thai coconut squash soup recipe is creamy, sweet, and silky with a delicious touch of spice! Healthy and easy! This soup has such a wonderful smooth texture and a little bit of kick from the ginger and curry paste. I just love the sweetness of butternut squash in soups. 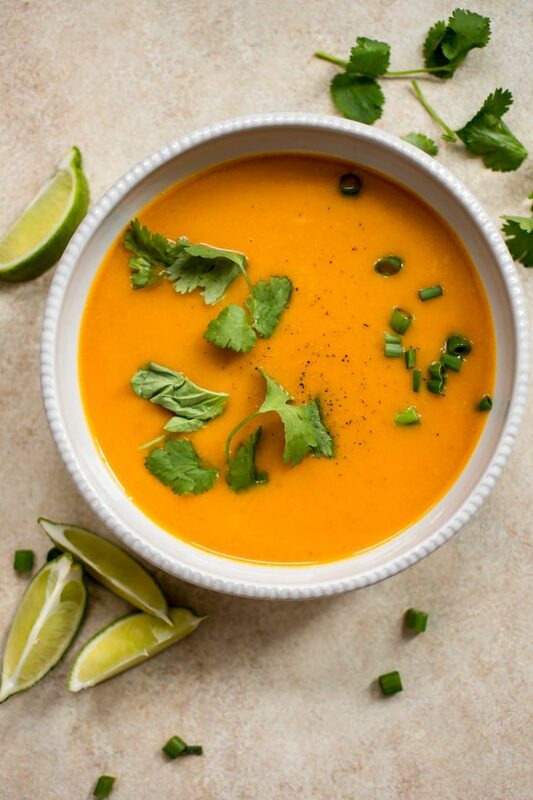 I know it can be too much for some people, so serving this soup with a bit of lime ensures that everyone can adjust the flavor to their liking. And what Thai-inspired dish isn’t made better by a squeeze of lime? The soup comes together quickly and doesn’t have a crazy amount of ingredients. It’s the perfect way to warm up this winter. And January is almost over… I am so pleased about that! Don’t bother trying to peel it with your potato peeler. That’s an exercise in frustration. I cut the ends off, cut it in half (width-wise), and then I (carefully) cut off the tough skin with my knife. This all takes a couple of minutes and makes it soo much easier! 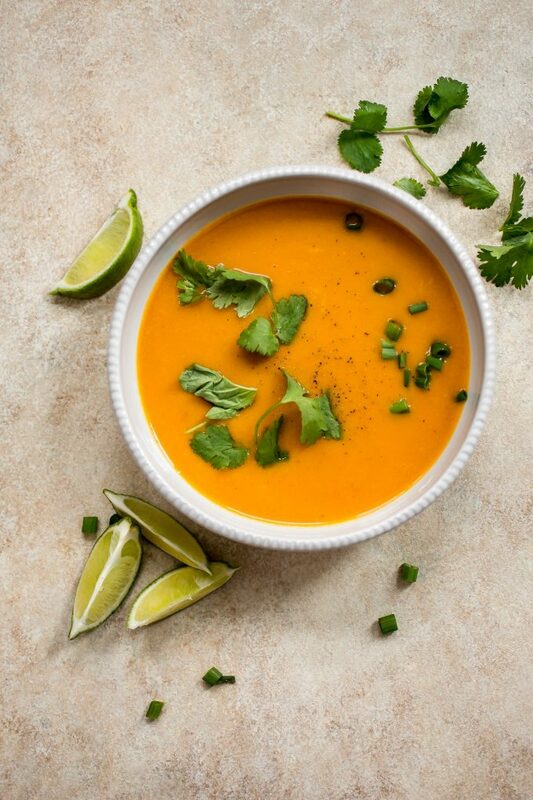 Hope you love this creamy butternut squash soup recipe! 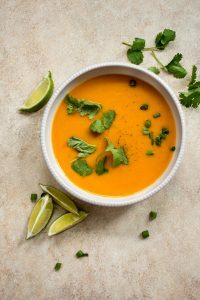 This vegan Thai coconut butternut squash soup recipe is creamy, sweet, and silky with a delicious touch of spice! Add the oil and onion to a soup pot over medium-high heat and sauté for 5-7 minutes. Meanwhile, peel and chop the squash (see tips within the blog post on how to do this easily). Stir in the garlic and ginger and cook for 30 seconds. Add the vegetable broth, curry paste, and squash. Increase the heat to high and bring to a gentle boil. Reduce heat to medium-high and simmer for 20-25 minutes or until the squash is tender. Blend the soup in batches until smooth (I recommend letting it cool a bit to do this more safely) and add it to another soup pot. Add the coconut milk to the soup. Heat through until the coconut milk is incorporated. Season with salt & pepper as needed. Garnish as desired. If you find the soup a bit sweet, I suggest adding some lime juice as needed. I used Thai Kitchen red curry paste and coconut milk. This is the zester/grater I used to grate the ginger. I always keep some ginger in my freezer so I have some on-hand when needed. It's also much easier to grate when it's frozen. Love Thai flavors? Try my vegan lemongrass soup with veggie noodles or my vegan coconut sweet potato curry. Healthy, tasty and comforting, love this so much! I’m pleased that January is almost over too Natasha! This soup looks so nice and smooth and creamy, and I LOVE the Thai flavors! 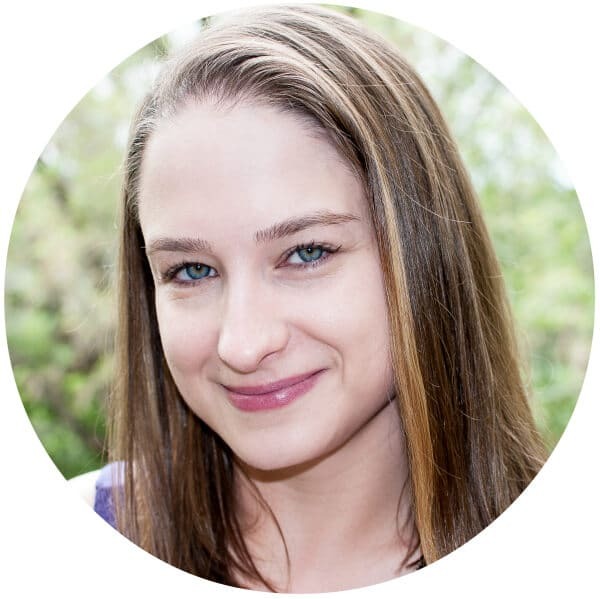 Thanks so much, Mary Ann!! Only a few more days to go. Fighting off the worst cold as well. Can’t wait! I love these flavors and this soup sound like something my whole family would love! Love that slight touch of spice in there, sounds so yummy! Gorgeous color! I would love to cozy up with a big bowl! What a lovely bunch of ingredients! Love this Natasha! Thai flavours are so perfect at this time of year when it feels like ages since we’ve seen the sun! Yes! Thank you. The color perks me up a bit too. Thai soup is my fave! Yes!! I love it too! Thanks! Delicious….I made it in the instant pot and added some chopped granny smith apple as well….then drizzled a tiny bit of sesame oil over the top… great recipe – Thank you!! I am excited to try this recipe. Wondering if anyone has ever made a larger batch and frozen the leftovers. If so, how was the flavor after freezing? Can this soup be frozen and if so, does it taste as good? Hi Lani! Can’t say I’ve frozen this one, but I don’t see why it wouldn’t work.